All are welcome regardless of race, gender, age, national origin, gender identity or expression, faith, sexual orientation, disability, or ethnicity. 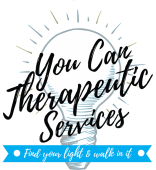 If YCTS is not a good fit for your need resources will be provided! Certified MAP therapist. Managed Adaptation Practices (MAP) utilizing evidenced based practices to address issues of depression, anxiety, and disruptive behaviors in children and adolescents. It is You Can Therapeutic Services mission to provide affordable quality therapy services to those who have the desire to participate. YCTS does not currently accept insurance. However at your request most insurance plans will often reimburse patients for a percentage of the session fees. You will be provided with a receipt or superbill to submit to your insurance company. Therapy services range in price. Please contact for more information. Money should never stand in the way of quality therapy. Therefore in some individual cases, a sliding scale may be used for those in significant financial distress. Please contact for more information. Cash, Check, Visa, Mastercard, American Express, and Discover are the methods currently accepted for payment. Individual and Group therapy sessions: Since the scheduling of an appointment involves the reservation of time specifically for you, a minimum of 24hour notice must be given for the rescheduling or cancellation of any individual or group therapy appointment. A fee of $55.00 will be charged for missed sessions without such notification. Workshops: Since scheduling of workshops involve reserving a seat specifically for you, a minimum of 24hours notice (**via phone) must be given for the cancellation of your spot and full refund. Without such notification, you will still be charged for the workshop in full with no refund. Please make contact with Melanie Lee, LCSW if you have any questions regarding this policy.